The last generation of consoles brought frequent patches 5 Ways In Which Xbox Live Has Changed Gaming – For Better Or Worse [Opinion] 5 Ways In Which Xbox Live Has Changed Gaming – For Better Or Worse [Opinion] It's difficult to remember a time when games consoles didn't connect to the Internet. I'm now so used to online features being an integral part of the gaming experience, that it's easy to forget that... Read More to the forefront of the gaming world. At times it seems as if some games weren’t even finished, but rushed to market in order to patch relatively large problems later. In short, it was equal parts exciting and frustrating. Getting new features was great, but waiting for bug fixes before playing your favorite games, was, well… not. Head to the Settings menu on your PS4. Under the System entry (near the bottom), you’ll see the Automatic Downloads and Uploads page – this is the command center for automating these updates. By default, not every option is checked, but it’s a good idea to enable them all. That way, not only will the PS4 download firmware updates (which can be several gigabytes), but install them so you’re ready to go without any delays. While you’re here, be sure that games are getting automatically updated too. Finally, just like you back up your computer 6 Safest Ways to Backup & Restore Your Files in Windows 7 & 8 6 Safest Ways to Backup & Restore Your Files in Windows 7 & 8 By now, we're sure you've read the advice over and over: Everyone needs to back up their files. But deciding to back up your files is only part of the process. There are so many... Read More , take advantage of PlayStation Plus’ cloud storage 5 Awesome Games That Make PlayStation Plus Worth The Price [MUO Gaming] 5 Awesome Games That Make PlayStation Plus Worth The Price [MUO Gaming] I recently wrote an article about the biggest rip offs in the history of video games. In it, I was quick to point out that Microsoft charges $60 a year for a service that simply... Read More to back up your saves if catastrophe strikes. One warning: if you use the PS4’s “Rest Mode” to save your place in-game, any system updates will automatically restart when applied. That means you’ll lose your previous progress, so be sure to save in-game before you put the system to rest. If you want to beef your PS4 up even more, consider upgrading its hard drive How To Upgrade Your PS4's Hard Drive How To Upgrade Your PS4's Hard Drive The PS4 makes it easy to add more storage space. Let's look at what drives you can choose between and how the process works. Read More . Don’t forget, there are tons of accessories A Gift Guide for the Ultimate PlayStation 4 Fan A Gift Guide for the Ultimate PlayStation 4 Fan Shopping for a PS4 owner this Christmas, but stuck for ideas? Our PlayStation 4 gift guide will help you buy the perfect present. Read More you can enhance your system with, too! 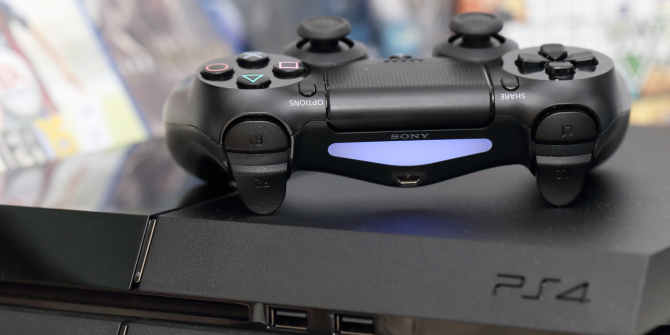 Do you take advantage of the PS4’s auto-updates? Let us know if you’ve ever been stuck waiting for a patch in the comments! Explore more about: Cloud Storage, PlayStation 4. The larger issue is Sony's ability to arbitrarily remove features via updates, not the specifics of those features or their intended purpose. This might be of particular importance to people using ps4 consoles as media center systems, given that Sony owns movie studios and music labels. I'll also say that my ps3 was never used for gaming, niche use or not. As a counter point, people who let their PS3s auto-update lost the ability to run Linux or do other hobbyist tasks on them. Updates aren't always doing end users a favor. You're right, but these are niche groups. I doubt many people wanted to run Linux on their PS3; there are much better ways to use Linux if you want to try it out. Plus, if your firmware isn't up to date you can't play online or update games, so you essentially lock yourself to the point in time when you don't update. The benefits outweigh the drawbacks.